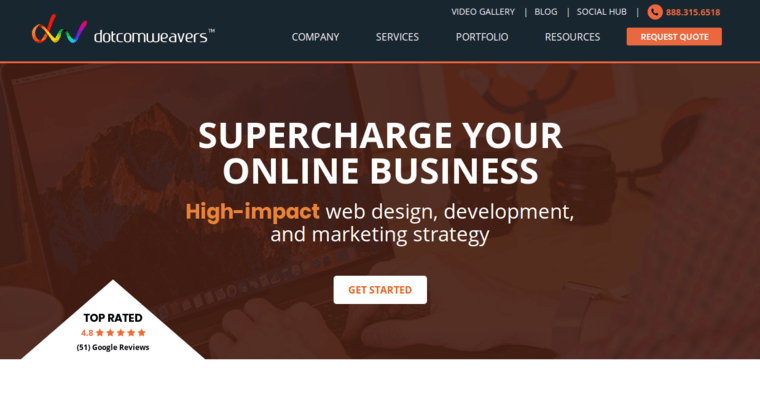 Dotcomweavers is one of the top website-design firms in the business. The company started with humble beginnings in 2007. It has now grown to a staff of more than 70 professionals. 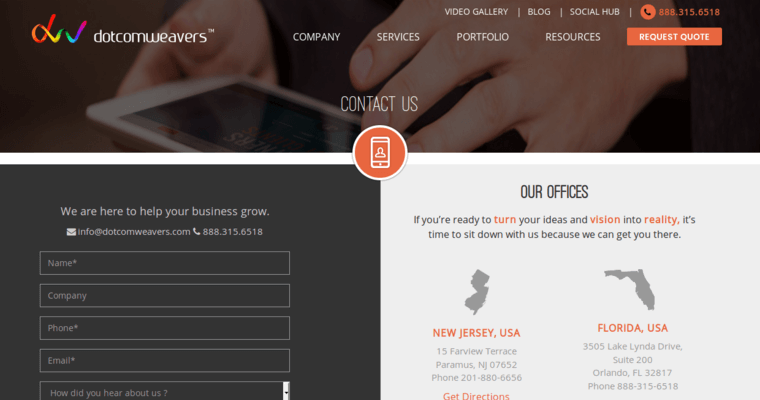 They have offices located in New Jersey, Florida and India. They serve clients of any size and from all around the world. They also work with companies from any industry or business sector. 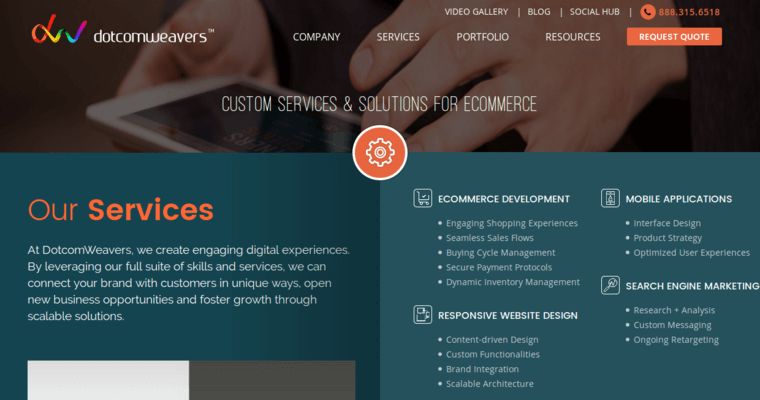 Websites created by Dotcomweavers are made with the user experience in mind. Your brand message must be adequately conveyed on every page. Customers should be able to find exactly what they're looking for when visiting your site. They build everything to be intuitive and to work well no matter the device or browser the site is viewed on. Dotcomweavers understands the world of e-commerce. They provide a number of e-commerce solutions to go along with their websites. They can help you to achieve your business goals.